Happy Monday morning to you, hope you enjoyed your weekend. I was down with Nina and her ladies yesterday at Its Crafting Times for a By the Sea style workshop. It was lovely to see everyone again and new ladies too. Thanks for a great day all. I took loads of photo s during the day to share this morning but for some strange reason the phone has blank Jpeg files on it!!! Not sure what happened there but will see if Nina has some and post them later. 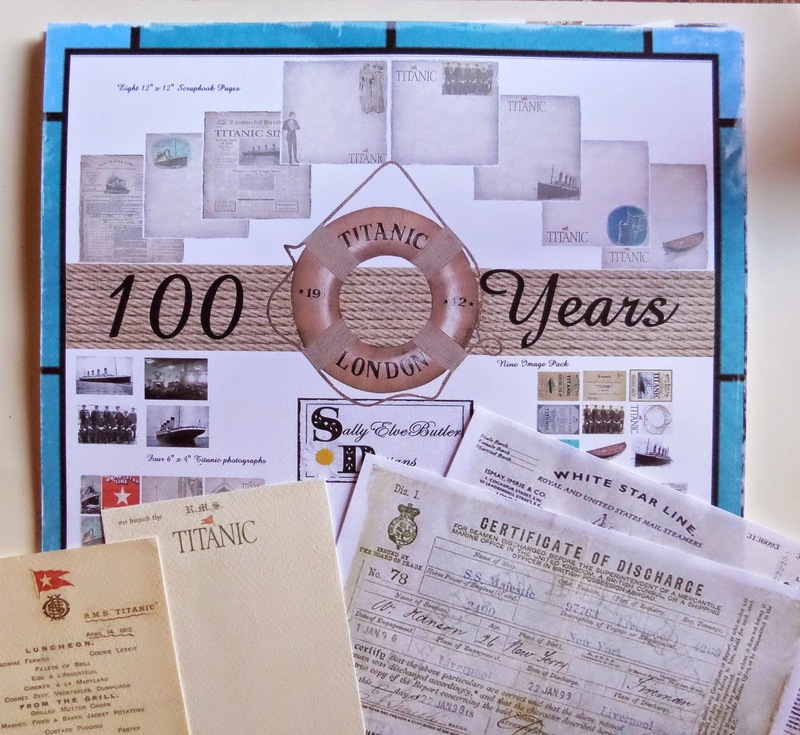 I picked up the whole collection of Heritage Titanic papers too. I'd seen them a couple of years ago at Ally Pally, didn't buy them and have spent the last couple of years searching for them on the net. I was at Nina s a few weeks ago and came across them completely by accident while browsing through a black album full of the complete Heritage paper and ephemera collections designed by Sally Elve Butler. They're absolutely gorgeous. Now I have more papers to stroke and look at lol! The pic (top) is one of the projects we're making at our retreat this weekend. We're altering the A5 box and drawer, adding a divider and trinket tray and then making the album and note book to go in the two sections. I've mainly been cutting out all the chipboard pieces for the packs with the help of the boys which has been a great help. There's loads of them. this is so very beautiful Clare. Sounds like u r busy as always Clare. Great that the boys are helping you!! Love this little cabinet!! I love Botanical Tea papers!! Evening Clare, Wowee !! 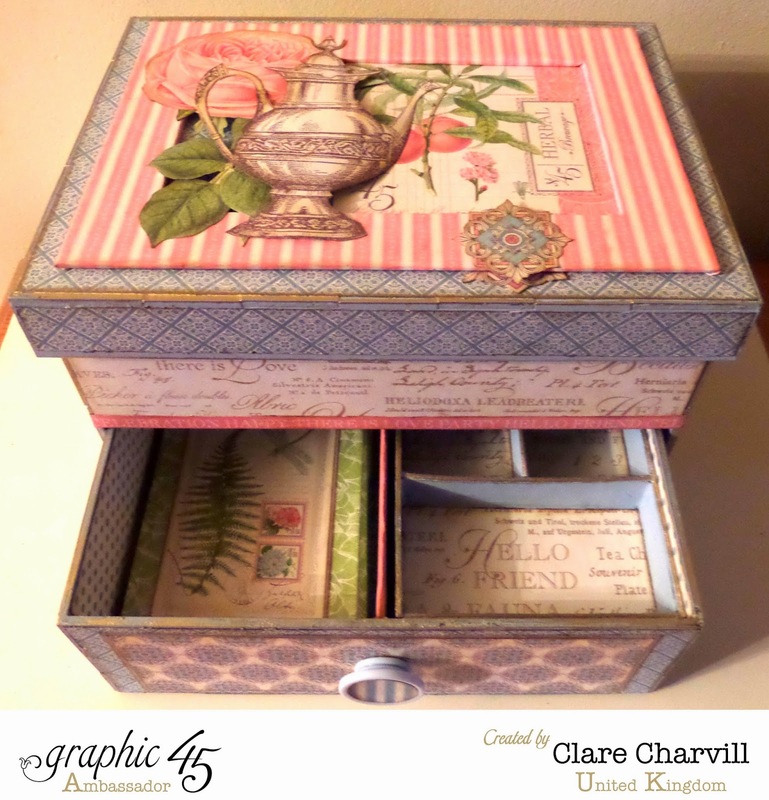 this cabinet is stunning, those gorgeous papers, the peeps will love making this gorgeous project at your workshop. I'm loving the heritage papers collection too. Good evening Clare. What a fab project - I'm sure those attending the upcoming retreat are going to love it! I have to say I'm really looking forward to attending your workshop in August and can't wait to find out exactly what our folio album will look like. Thanks for sharing this with us and I hope you enjoy the rest of your evening. Take care.